There is a chance of rain in the country from Saturday until early on Monday (February 4), the Qatar Met department has said. The department has urged people to be careful during this period and avoid going to sea due to “unsettled weather conditions” during this period. 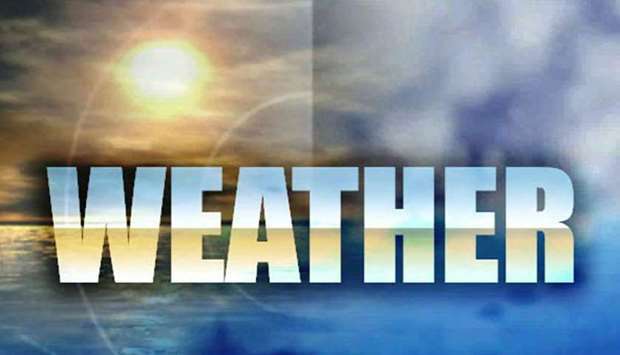 In a report on Thursday, the weather office said the cloud cover is expected to increase in the above-mentioned period and there is a chance of scattered rain, which will mostly be light to moderate in intensity but also become thundery at times. This will be accompanied by “sudden downdraft winds”, which will result in rising dust in some areas. The prevailing winds during this period will be northeasterly to southeasterly, ranging in speed from 5-15 knots and becoming strong during thundershowers to reach a high of 22 knots inshore and 25 knots offshore. This, in turn, will cause the wave height to go up to 8ft, the report states. The Met department has advised people to follow latest updates through its official social media accounts. Meanwhile, Friday’s forecast says misty conditions are expected in some places in the early hours of the day, followed by scattered clouds. There is a chance of light rain in some inshore areas, and it will be relatively cold by night. Some clouds are likely in offshore areas. A minimum temperature of 12C is expected on Friday in Abu Samra and Dukhan, 13C in Wakrah, Mesaieed and Al Khor, and 17C in Doha and Ruwais. The maximum, on the other hand, will range from 22C in Dukhan to 29C in Abu Samra, while Doha will see a high of 26C. Thursday, the minimum temperature was 14C in Mesaieed, Abu Samra and some other places, while in Doha it was 18C. The maximum was 25C in Doha and 27C in the Qatar University area, Abu Hamour, Al Khor and other places. February is the last month of winter and climatically the second coldest month of the year after January, the Met department has said. The highest temperature recorded in Doha in February is 36.5C, in 2002, while the lowest is 5C, in 1967. Also, the daily mean temperature in Doha in February is 18.6C.